Lookout Auckland, Youth Glide is heading your way! This year Youth Glide will be hosting it’s annual Meeting (AGM) & Mingle in Auckland. We will have several aviation related activities arranged with local attractions and organisations, some of which are exclusive to this event and should not be missed! The AGM itself will be hosted at the Auckland Gliding Club followed by a social Youth Glide BBQ/dinner. The Youth Glide Meeting & Mingle begins on Saturday morning (6th October) and finishes Sunday afternoon (7th October). This weekend is not just for YGNZ youth members – we encourage friends, family, and all supporters of YGNZ to attend and join in on the fun. We are still in the process of finalising some activities and will send an updated schedule closer to the time of the event. 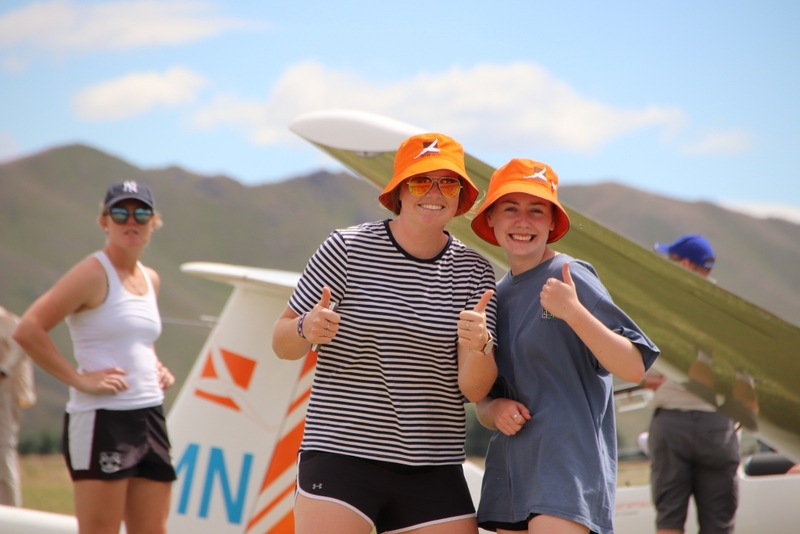 It is preferred that you arrange your own accommodation prior to this event however we have also contacted members of the Auckland Gliding Club and many of them have kindly offered to host Youth Glide members if required. If you are interested in this, or require assistance with accommodation, please email Uma Tuffnell (uma.tuffnell@gmail.com). Activities are based in multiple locations around Auckland. Personal transport is preferred, however we understand many of you will require assistance with transport. Please let us know if you require transport and we can help arrange this for you. Please email Tim Tarbotton (ttarbotton@gmail.com). Join us for a Youth Glide exclusive visit to the Air New Zealand workshop along with a rare opportunity to tour the Air New Zealand flight operations area at Auckland Airport. Air New Zealand and its workshops is a major supplier of aircraft, and component MRO (maintenance, repair and overhaul) services with customers in New Zealand, Australia, Asia, the Americas and Europe. Take the opportunity to get up front with the aircraft and watch the experienced engineers work their magic. Get a glimpse into the engine room of Air New Zealand – a dynamic, fast-paced, 24/7 operations area responsible for flight planning and monitoring. Watch the team as they manage and coordinate daily domestic and international schedules. This team is responsible for managing real-time operational decisions through various schedule adjustment and recovery processes. NZ Warbirds at Ardmore provides an opportunity for the public to get close to the operational and static aircraft of the Association. Such aircraft on display include ex-military and vintage aircraft such as Harvards, P51 Mustang, A4 Skyhawk, Aermacchi, Strikemaster, CT4, L39 Albatross, Spitfire, P40, DC3 Dakota, Catalina and many others. The visitor centre presents flying memorabilia and RNZAF squadron history, as well as an extensive scale model collection and aviation library resource. Interested in becoming an Air Traffic Controller? Ever wondered what happens in the tower? Join us for an exclusive Youth Glide tour of the Auckland Airport Air Traffic Control tower. Watch as the air traffic controllers work together to keep aircraft separated from each other – both in the air and on the ground. Experience New Zealand’s aviation history at the MOTAT Aviation Collection located at MOTAT Meola Road. Located in the multi-award winning Aviation Display Hall, MOTAT hosts a large collection of recreational, top dressing, commercial and military aircraft, celebrating the evolution of New Zealand aviation since February 1911 when Vivian Walsh achieved sustained and controlled flight in a British Howard Wright biplane. The MOTAT collection includes the only Solent Mark IV Flying Boat left in the world and a rare World War 2 era Avro Lancaster Bomber. You will also be able to see aircraft, which saw service with the Royal New Zealand Air Force such as the de Havilland Mosquito and the modern Skyhawk and Aermacchi. 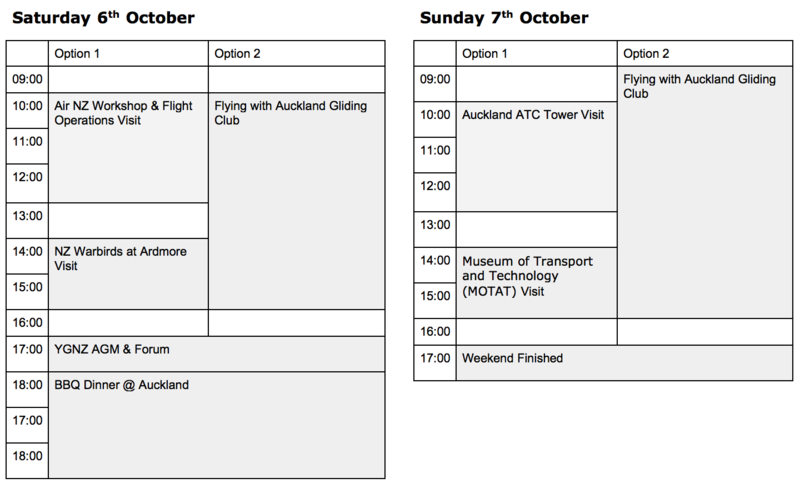 Keen to fly with the Auckland Gliding Club during the weekend? Gliders and instructors will be available subject to weather and forward planning during the weekend. If you are interested in flying with the Auckland Gliding Club please let us know in advance by indicating you’re interested within the registration form above. Youth Glide will provide students who fly over the weekend with subsidies to contribute towards flying costs. The club is located 45km south of Auckland City in the heart of lifestyle countryside, with a 1km well-kept grass airfield. The Club provides trial flights for beginners and full pilot training, from novices through to advanced cross-country racing, within a relaxed social atmosphere. To advance the soaring skills of anyone, from youth trainees through to experienced power pilots, we have a modern aircraft fleet, a panel of highly-experienced instructors and launch capabilities that are usually available every flying day through our roster and booking systems. Note: If you are interested in flying this may mean you cannot attend some of the other activities as flying will take place at the same time. If you have any questions or suggestions in regards to the upcoming Youth Glide Meeting & Mingle in Auckland, please contact Tim Tarbotton (ttarbotton@gmail.com) or Uma Tuffnell (uma.tuffnell@gmail.com). We hope you can all join us for this exciting weekend away!